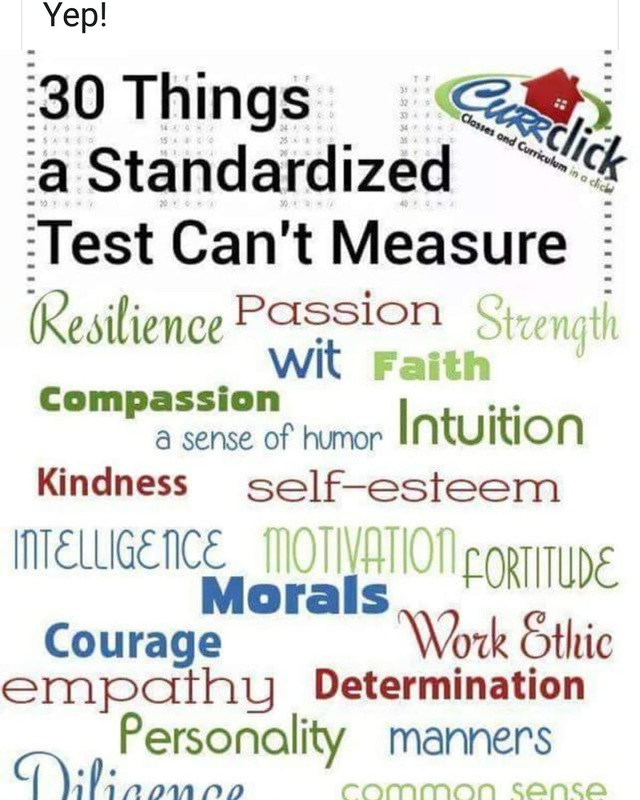 I love this post from "Currclick"... After just completing standardized testing with my kids, I find that the questions they ask on these tests are just irrelevant to life. Having a foundation of Faith in God is where we start and encompass the rest as we give our children skills of compassion, love, kindness and more. 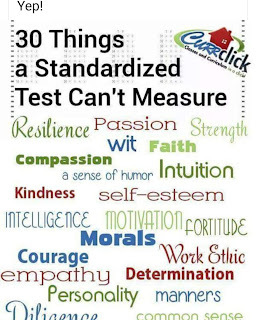 A standardized norm test cannot give any of this information. This is why we love homeschooling we can instill these qualities in our children.